What Exactly Is Automotive SEO? You’ve heard that automotive SEO is important for your dealership and you probably have an inkling of what SEO is…but what parts of your website will have to be adjusted in order to accommodate search engine optimization? How exactly do these changes affect your search rankings? You can see a complete list of car dealership ranking factors here. In the meantime, here’s an explanation of what automotive SEO is, how it helps your website, and how the specific changes we’re going to make will boost your rankings and bring you more site visitors. In the simplest terms, automotive search engine optimization is making changes to the content and design of your website, in order to achieve a better search engine page ranking and drive more visitors to your website. 98% of search engine users will pick a link on the first page or try a different search, rather than clicking onto the second page of the search results. 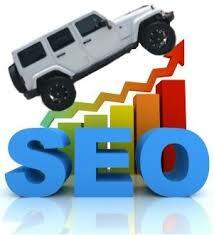 This means that you want your webpage to be very highly ranked. Luckily for car dealerships, you are usually angling for local customers and it is much easier to top local search results than it is to top the entire internet’s worth of search results. If your website has had no optimization efforts, the first step will be to completely overhaul your content. While your content might be informative, if it’s not search engine optimized, it might not contain the most effective keywords for your specific dealership. In some cases, this consists of a simple revision to include the right keywords. In other instances, it will consist of swapping out old content for new content that contains keywords and is more valuable. Don’t feel bad about tossing out your old content, Google prefers fresh content. Other changes may include posting videos, pictures, and other more engaging content on your website. Anything that is not directly related to your car dealership will likely be removed. Any scammy or black-hat techniques will also be removed. Links to other websites (not your competitors, but your brand’s official webpage, informative websites, etc.) will be added. Most companies that offer SEO services also offer web design services, since these two things go hand in hand. Content that is valuable and keyword rich will only be read if the website is actually appealing to look at. In some cases, your SEO firm may recommend or just automatically roll a website redesign into their SEO package. Site visitors find your website by the keywords, they stay for the first three seconds because of the design, and they stay for the next three minutes because of the content. The longer someone stays on your website, the higher chance you have of converting that person into a customer—that means you need the right keywords, the right design, and the right content. Before Google, if you wanted to find a business online, you had to already know that business’s URL. That worked fine for the generation that was raised before the internet, that would happily open a phonebook and find all the local businesses they wanted or needed. Google is a very simple idea—it’s “Information” for the internet. Instead of having to call a database that would give you the number or address of a car dealership, you could just get on Google.com, type in the type of business—not even the business itself, just the type of business—you wanted to find, and are presented with a list of links to that website. Google’s goal is to put the most relevant links in front of their searchers. That means that you need to make your website one of those most relevant links. You do this by adding relevant content that includes relevant keywords, onto a webpage with a great design. In the past, Google’s only ranking factor was keyword density. Now, there are hundreds of ranking factors that affect where your page goes in the list of results. SEO’s goal is to find a keyword that your webpage is likely to rank well for and implement that keyword enough times and in the right way, along with implementing a number of other tactics, in order to get your webpage to the top of the search results. Outbound links steal “juice” from websites that already have a great rank. Local directory listings and reviews build your authority. A blog gives you infinite content opportunities and enlarges the size of your website. All of these things make your website look more legitimate and more valuable to Google, which causes it to rise through the search results, hopefully to the first page. While every situation is different, many of the dealerships that come to us have the same issues. They want to rank higher in their local search results. Even if you are the only Honda dealership in your area, your website might not be at the top of your city’s search results. We can help your rectify this in a number of ways. We’ll review your content to make sure it is as effective as it can be. Implementing a blog is one of the best ways to improve search results, as it allows us to add fresh, keyword-rich content to your website. A healthy linking strategy, PPC campaign, and other tactics are often mixed in to ensure that you get the traffic that you need in order to boost your sales and profits. Many dealerships do not realize that if they had a better SEO campaign, they would be raking in far more revenues. Now that you know the specifics—it’s time to get started!